An integral part of state machinery, Senate elections shed a light on the state of the country’s political affairs. The Pakistani Senate – the Upper House of Parliament – will be witnessing some changes to its composition after the national and provincial assembly members voted 52 new senators to the house. From the initial showing, it seems the PML-N has swept to power in the Senate, relegating the PPP to a distant second place. An integral part of government machinery, the Senate elections have shed important light on the state of the country’s political affairs and its political parties. Here, our experts share their analysis on the results. 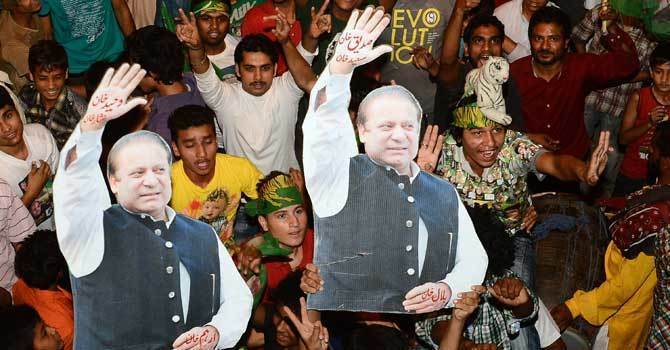 The PML-N-backed Independents — are they going to stay loyal to the party in the future? Is this going to be a problem for the PML-N in the long run ? The PML-N people will stay loyal. The reason they will stay loyal is simple: the party is moving forward since the appointment of Shehbaz Sharif as party head. That was a signal to the powers that be that the PML-N is willing to play the new game and is willing to do what it takes for the 2018 elections. This bodes well for the party members and their chances in Punjab at least for the 2018 elections. Even though Chaudhry Sarwar being elected in Punjab is an upset, but it does not diminish what the PML-N has achieved running their candidates as independents. That is a risk most other parties might not have been willing to take successfully. This is also a vindication of the idea that I previously have talked about: that the PML-N’s party discipline is far superior to those of other parties. Even Shehbaz showed up to the Punjab Assembly to cast a vote. The PTI and the PPP should be worried about the general elections. Are the Senate elections another confirmation of the decline of the PPP at the federal level? The PPP has done better than expected. They might be in decline at the federal level, but it still has a certain level of pull and power. That power has shown up in Khyber Pakhtunkhwa and Sindh. Those who write off the PPP completely should be reconsidering that stance. The party is a power, a smaller power than it has been in the past, but it is still more powerful at the national level than the PTI. Going forward, they will remain the most powerful opposition group at the federal level and a strong ruling party in Sindh. What do you make of the MQM’s performace ? Did the split play a role? The MQM needs to sit down and reconsider what is going on what their political power base. The split has made a dent, but that dent is not fatal. The longer-term plan to install the dictator Pervez Musharraf as party head of the MQM-plus-friends might pick up steam now that the party is in crisis mode. The idea that a dictator-led MQM-plus-friends would be bad electorally is popular outside Karachi, but it seems that idea is taking a hold in Pakistan’s largest city. Any surprises that the PML-N-backed candidates won in Punjab? Could their ‘independence’ prove to be consequential as to how the future government is able to function after the general election? The election of Asad Ashraf just two days ago on a vacant senate seat from Punjab gave some indication that the PML-N is holding together for now. The same is visible in the results from today, so they do not constitute much of a surprise. It appears that whatever fracturing was expected has been kept in check through strong internal disciplining as well as the appointment of Shehbaz Sharif as caretaker party president. The candidates will have the option of joining the party immediately after their election. This means that once they declare their party affiliation, they’ll be recognised as PML-N senators for the rest of their terms. Given the kind of candidates picked (mostly loyalists or relatives), the chances of any more than a couple going rogue are low at this point. If any defections do take place, or if a winning candidate decides not to join the PML-N formally, this will happen in the immediate aftermath of the election. The PML-N-backed Independents — are they going to stay loyal to the party in the future? Is this going to be a problem for the PML-N in the long run? I don’t think it will make much of a difference for the PML-N senators whether they wear party colors or not. The party has been in troubled waters since last one year but there haven’t been any defections in Punjab. The new-found party loyalty in Punjab politics is not a change of hearts on the part of the elected members, it is simply the fact that they have come to believe that their political interests are best served this way. It is likely to remain this way. Some party members who might be shaky, dread going against the popular current which is favor of PMLN. Though the Punjab senators now technically share the independent status with Balochistan ones, the former are not politically as vulnerable as the latter. To be blunt, the PPP is trying to ‘buy’ its way back into the federal politics. It is trying to tell the critics not to write the party off: but managing to have a few MQM votes on its side may actually negatively impact its politics in urban Sindh. If it desires to fill ‘the vacuum’ there, it needs to tend to political needs and aspirations of the metropolis. There certainly are things that money cannot buy. More importantly, the additional numbers that it has gained in Senate will not mean much in future number crunching games. This is likely to end up as a pyrrhic victory for the party. It’s not just the MQM that is in disarray as a party, it is also the politics of the mohajir community and, in fact, that of the entire metropolitan that is directionless at the moment. The PPP is preying on their woes and not offering any solutions. It can survive of this opportunism for now but not for too long. The Senate election jolt will either finish what remains of the MQM or may act to help it reunite. The party is left with just five months to chose — that is, the time till the general elections.